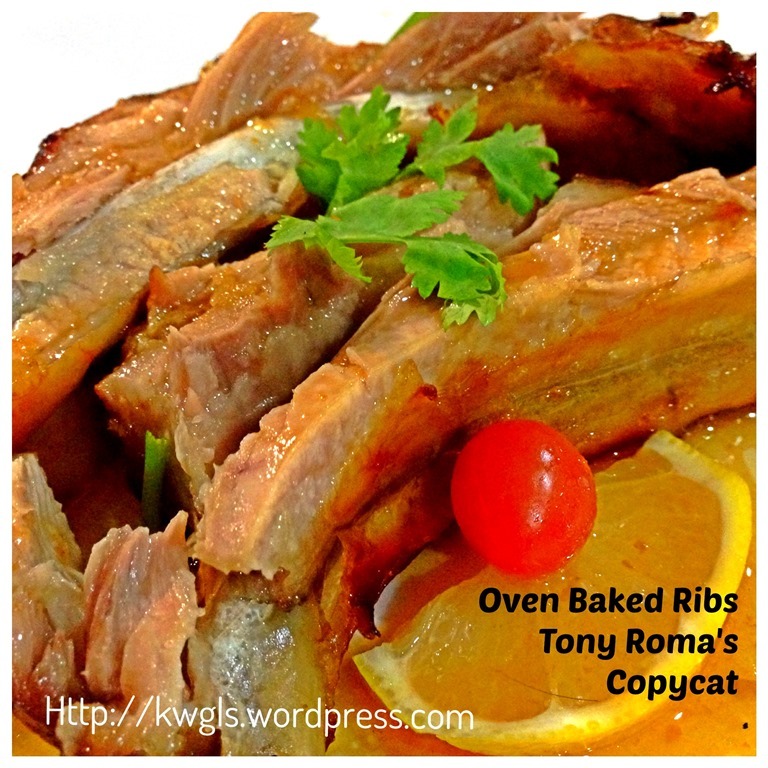 I don’t usually have Western meals, but one of the Western chains of restaurants that I like very much is Tony Roma’s Ribs, Steak and Seafood Restaurant, an American family restaurant chain world famous for its baby back ribs and other specialties like steaks, BBQ chicken & seafood. 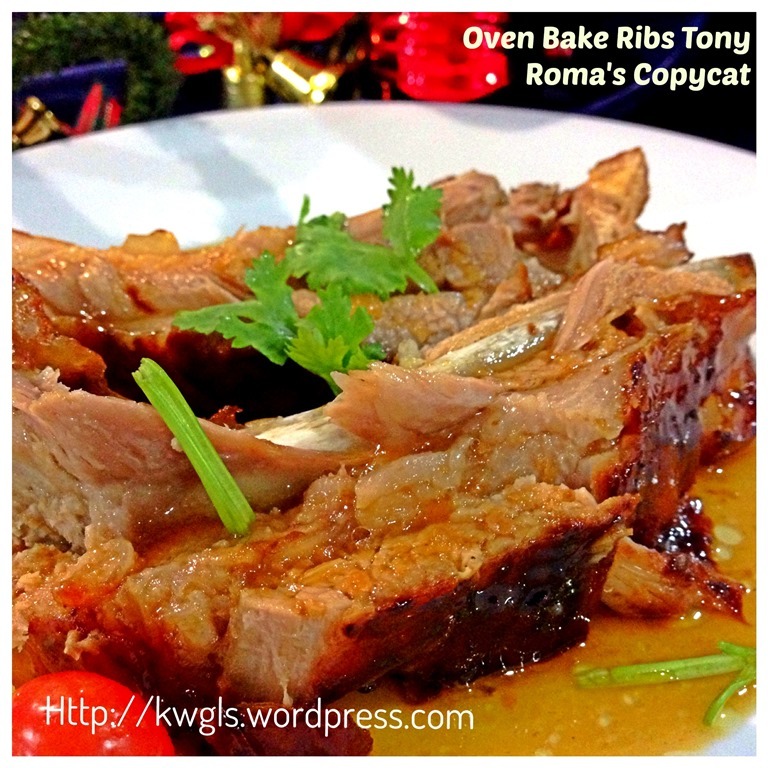 I first tasted its ribs 15 years ago in Shanghai when I worked as an expatriate in Shanghai. 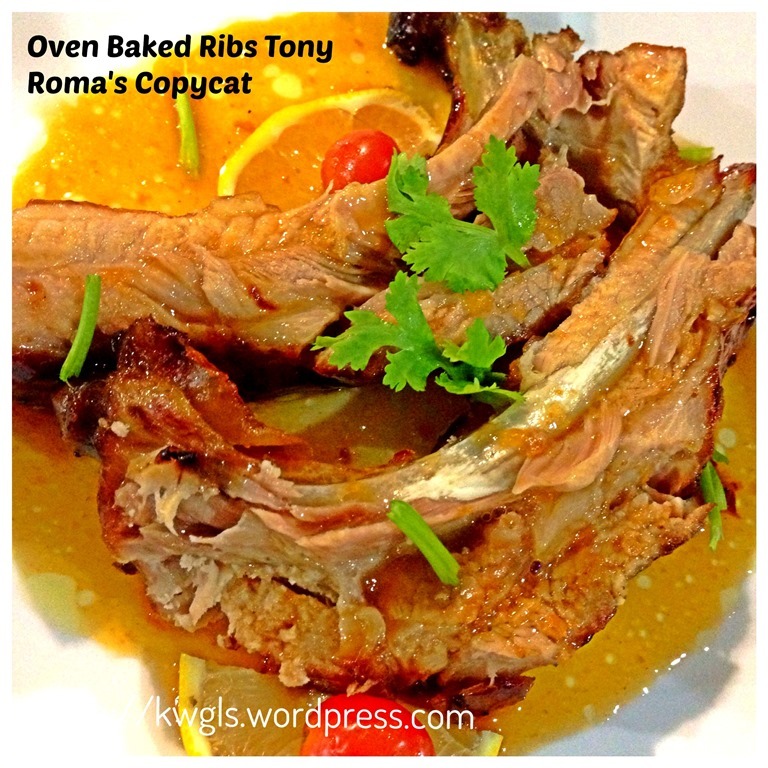 I loved its soft, tender and juicy ribs. While most Western restaurants serve steak in this part of the world, however, Tony Roma’s serves baby ribs that captures my heart . This is because I do not take any beef or lamb thus making my choice of Western cuisines rather limited. Christmas is approaching and I am looking at the Christmas order brochures distributed by the supermarkets. 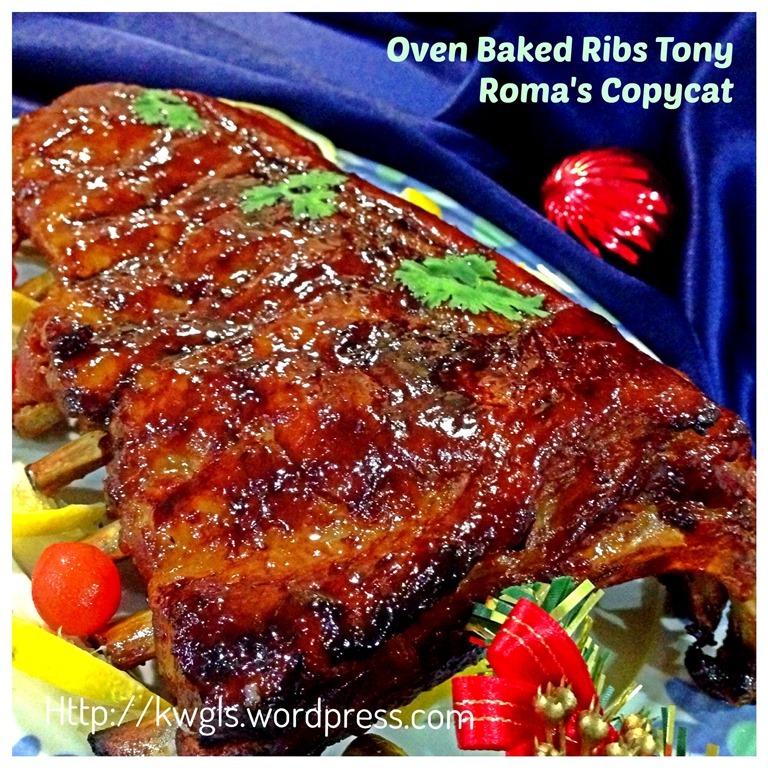 Besides hams, roast chickens, sausages etc., one of the common items is baked ribs. 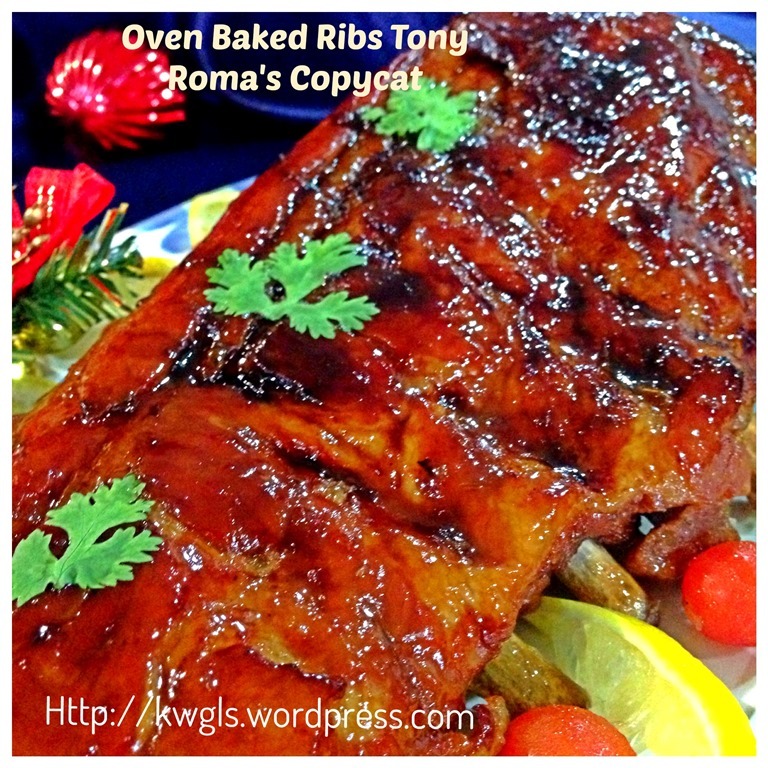 In Singapore, there are two types of baked ribs commonly sold, honey glazed baked ribs and black pepper baked ribs. Prices are about SGD30 per kilogram. I thought it might be a good idea to prepare our own ribs for the Christmas dinner and it can save at least half the cost. In addition, it can be tailored to meet the family’s taste buds. Before I search for the recipe, I do not place any hopes on finding one. When I searched, there are lots of recipes and I have selected one that uses oven to bake rather than barbecuing. Surprisingly, the recipe is very simple with minimal list of ingredients. I tried and I can assure that it is definitely a recipe keeper for big festivals, be it for Christmas or any important Chinese festivals such as Chinese New Years. Pound the garlics and shallots until fine (You can opt to use garlic powder). Place all the ingredients (except ribs) in a sauce pan and bring to boil. Once boiled, simmer it until the sauce has thickened. 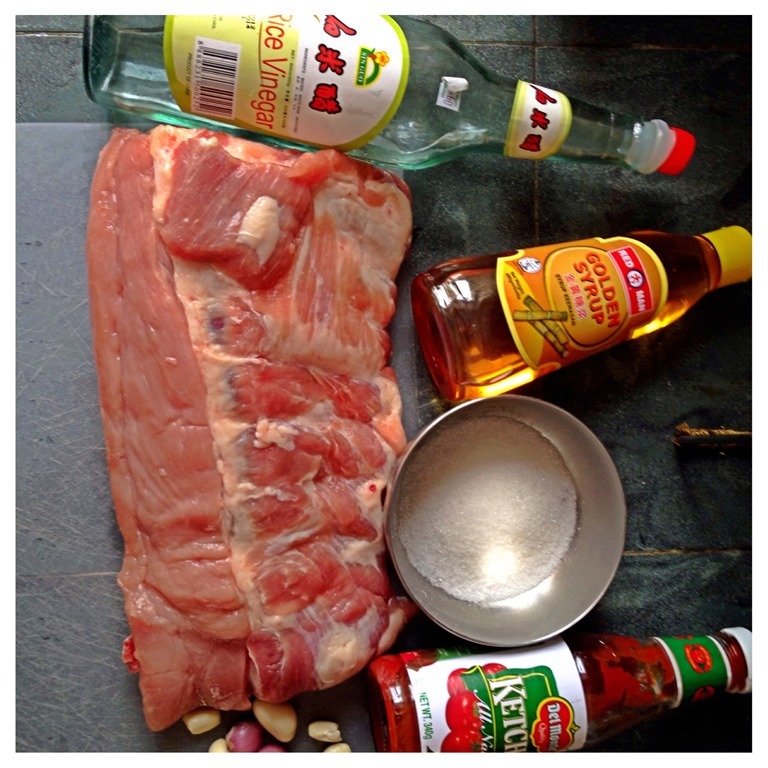 Rub it on the pork ribs as evenly as possible. Save a few tablespoons for brushing during the baking process. Marinate the ribs for at least 1/2 day. You can also marinate overnight in the fridge. Pre-heat your oven to 150 degree Celsius. Get ready 4 pieces of aluminium foil big enough to wrap the ribs. Wrap the ribs as tight as possible. Bake in the oven for 2 hours. 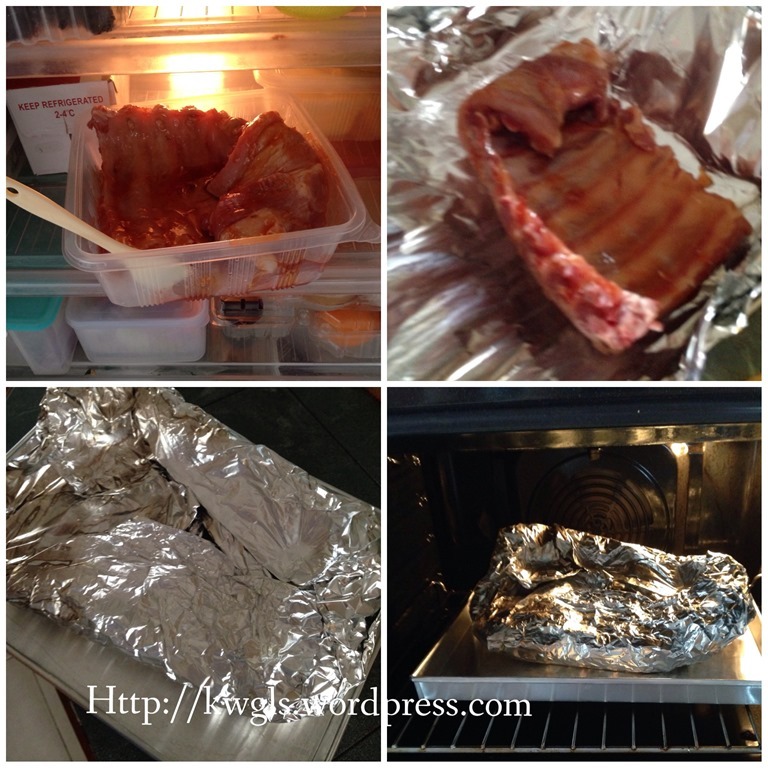 After 2 hours, open the aluminium foil and ensure that the meats have shrunk from the ribs by about 1 inches long. This will ensure that the meat are tender, juicy and fall off the bones. 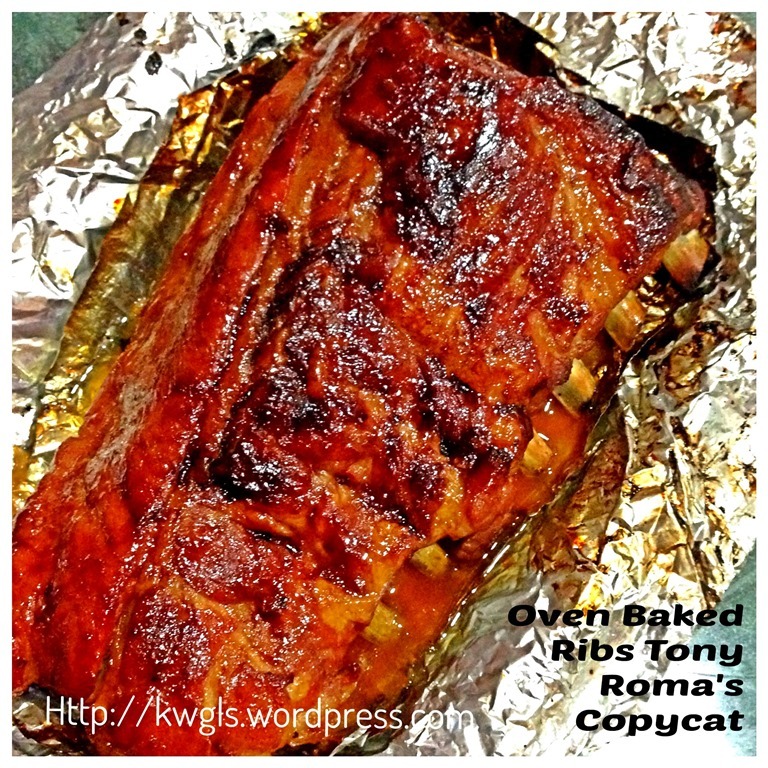 Without wrapping the ribs, rub the baked ribs with additional barbecue sauce (reserved above) and send back to the oven. Baked each sides for 3-4 minutes or until the ribs slightly dries up with small signs of charred sauce (but do not burn the ribs). Sliced the ribs in between the bones for serving. Best served with additional barbecue sauce. This is an extremely recipe which I will definitely keep for my other festivals. It suits the taste of Asian as there are no exotic herbs and seasonings used. It is sweet and slightly tangy in the meat. 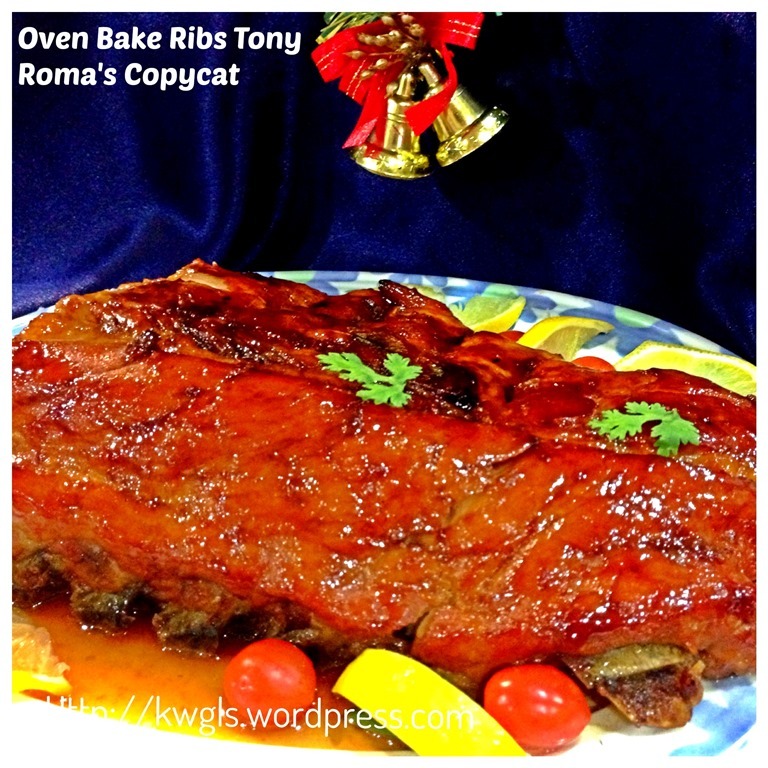 The meats were soft, fell off the bone and really melted in the mouth.. Hope you like the post today and do consider to prepare some baked ribs for your family in this Thanksgiving or Christmas 2013. Cheers. 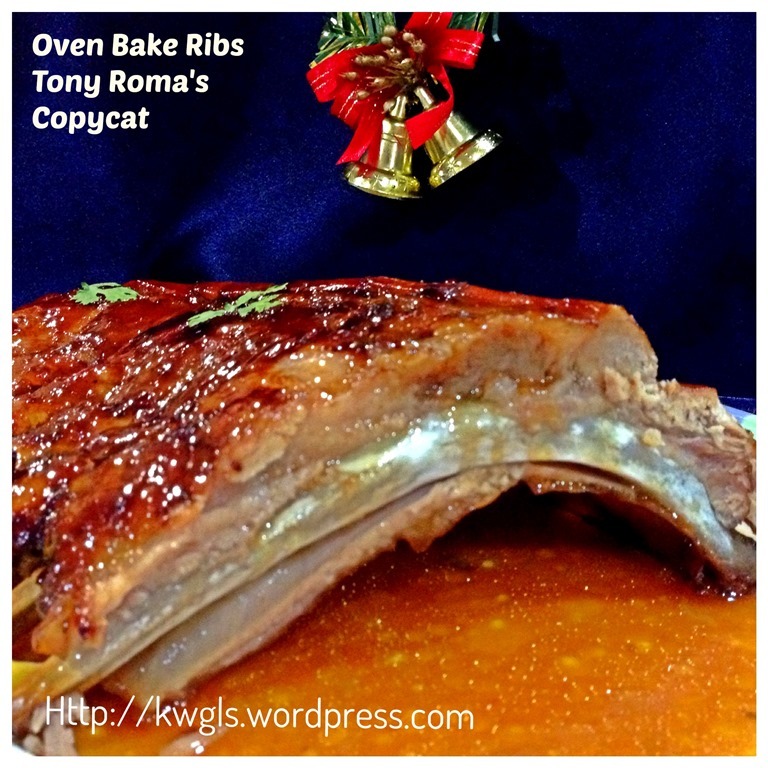 This entry was posted in Christmas 2013, Dish, Food Preparation Series and tagged 8, BBQ pork ribs, christmas 2013, GUAI SHU SHU, Guaishushu, Oven Baked ribs, postaday, Thanksgiving 2013, Tony Roma's BBQ Baby Ribs, Tony Roma's oven baked ribs. Bookmark the permalink. 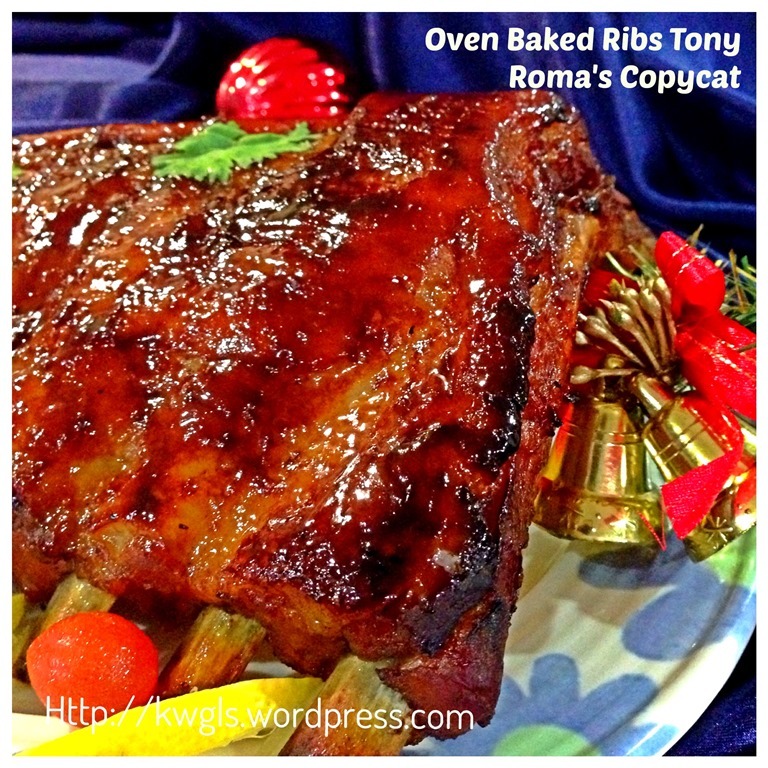 I can never imagine such a simple recipe can produce your nice ribs! I must try this Christmas. you make cooking so amazing! Oh, yum, these made my mouth water! 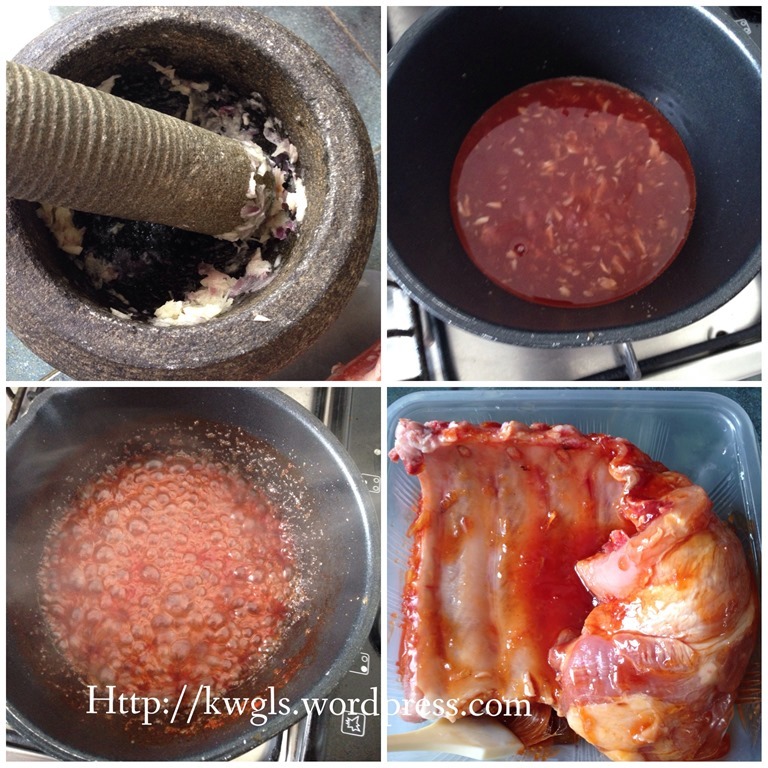 Linking in from#recipeoftheweek. Gosh, this looks simpler than I expected. Pinned! If I cook only 1/2 of above, should I reduce my cooking time in the oven to 1 hr or still let it cook for 2 hrs? Still 2 hours. May be you can open earlier. 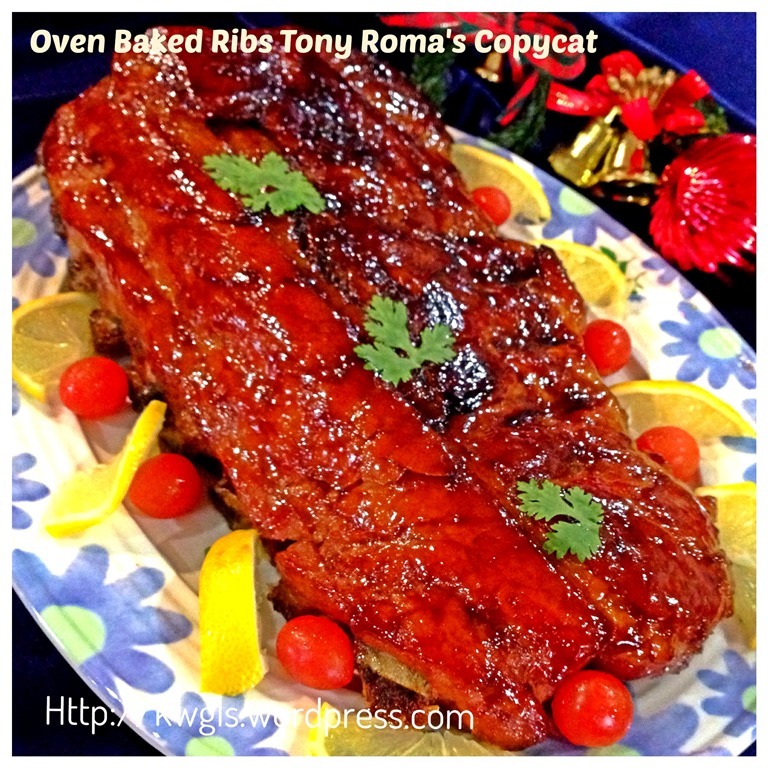 hi, gonna try this pork ribs for my new year eve dinner. 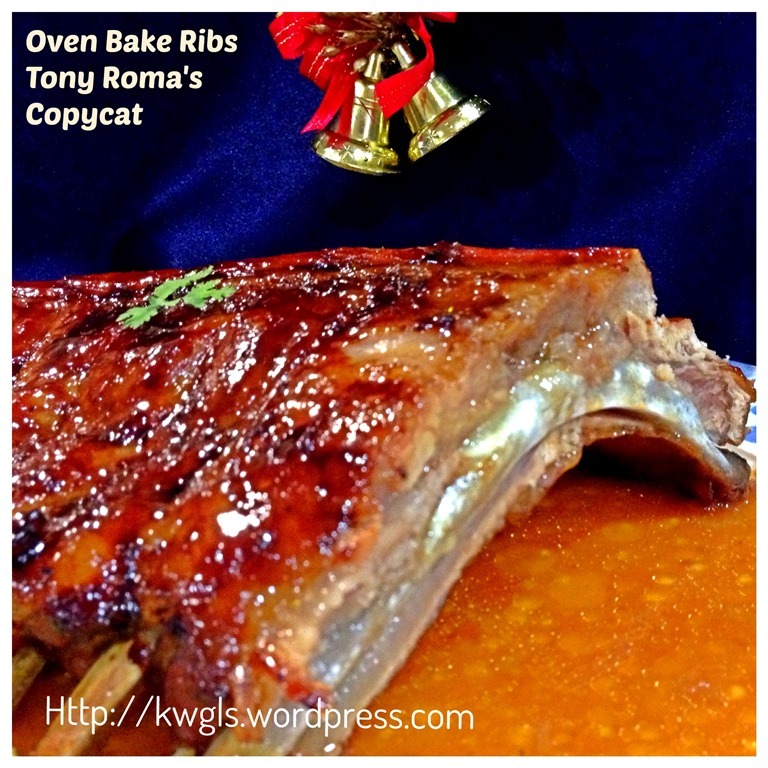 I need to bake 4 of the ribs shown above, should I bake all 4 in the oven at one time or split into 2 times?